7 Active Circuit Amplification Operational Amplifiers (op-amp) The primary purpose for the analog signal conditioning circuitry is to modify the transducer or sensor output into a form that can be optimally converted to a discrete time digital data stream by the data acquisition system. Some important input requirements of most data acquisition systems are: The input signal must be a voltage waveform. The process of converting the sensor output to a voltage can also be used to reduce unwanted signals, that is noise. The dynamic range of the input signal should be at or near the dynamic range of the data acquisition system (usually equal to the voltage reference level, Vref, or 2Vref). 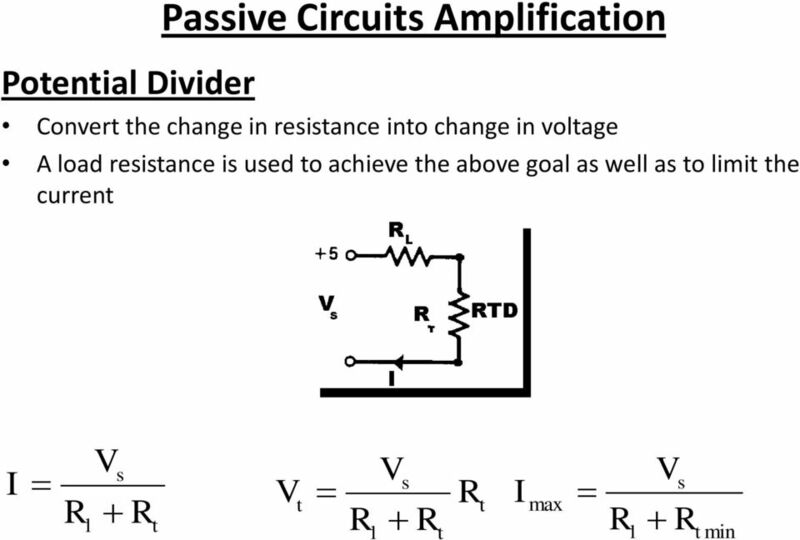 This is important in maximizing the resolution of the analog to digital converter (ADC). The source impedance, Zs, of the input signal should be low enough so that changes in the input impedance, Zin, of the data acquisition system do not affect the input signal. 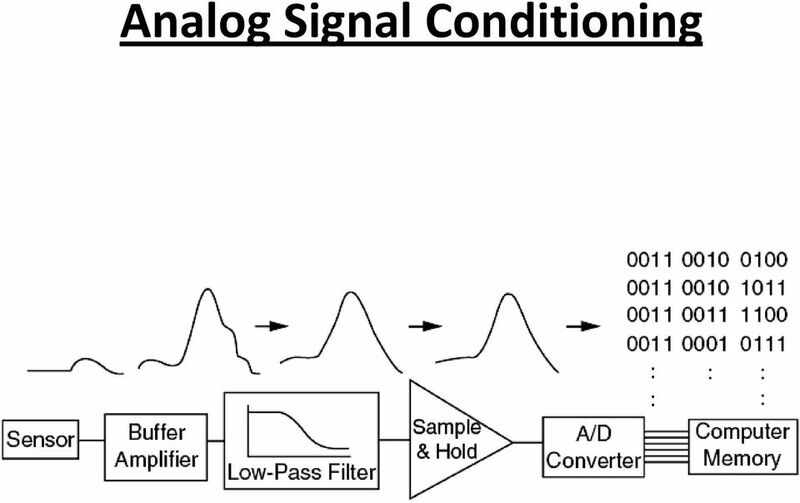 The bandwidth of the input signal must be limited to less than half of the sampling rate of the analog to digital conversion. 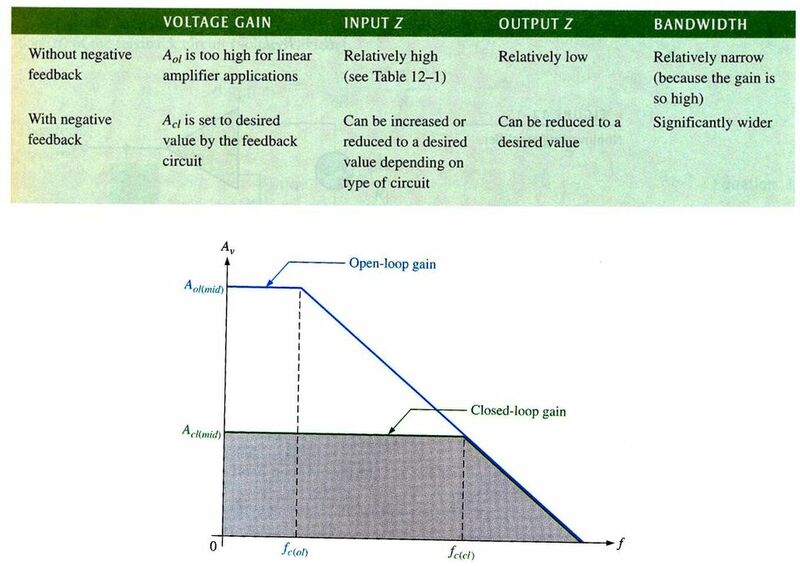 9 The ideal operational amplifier model The op amp model: (a) open loop; (b) closed loop; (c) ideal. 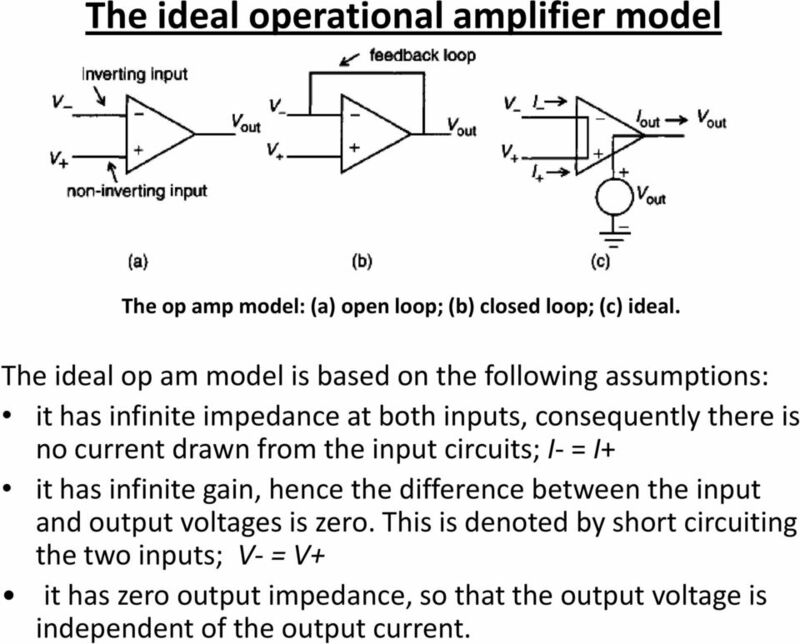 The ideal op am model is based on the following assumptions: it has infinite impedance at both inputs, consequently there is no current drawn from the input circuits; I- = I+ it has infinite gain, hence the difference between the input and output voltages is zero. This is denoted by short circuiting the two inputs; V- = V+ it has zero output impedance, so that the output voltage is independent of the output current. 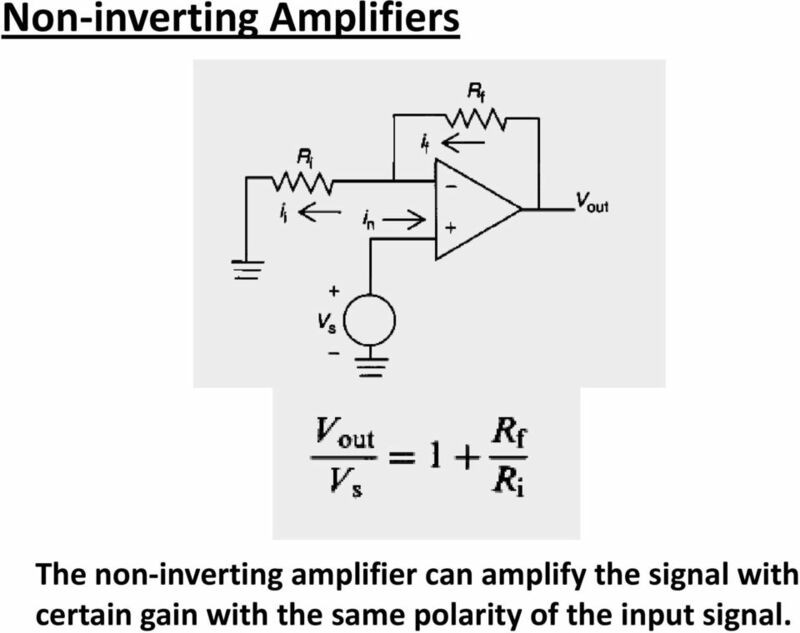 16 Non-inverting Amplifiers The non-inverting amplifier can amplify the signal with certain gain with the same polarity of the input signal. 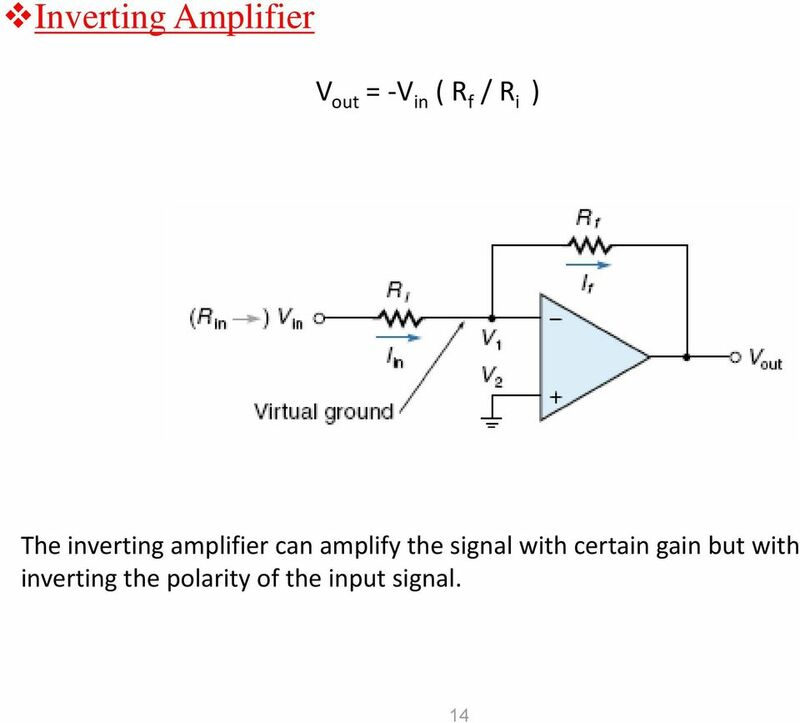 17 Unity Gain Buffer If RF=0 and Ri = 0 and is open (removed), then the gain of the non-inverting amplifier is unity. 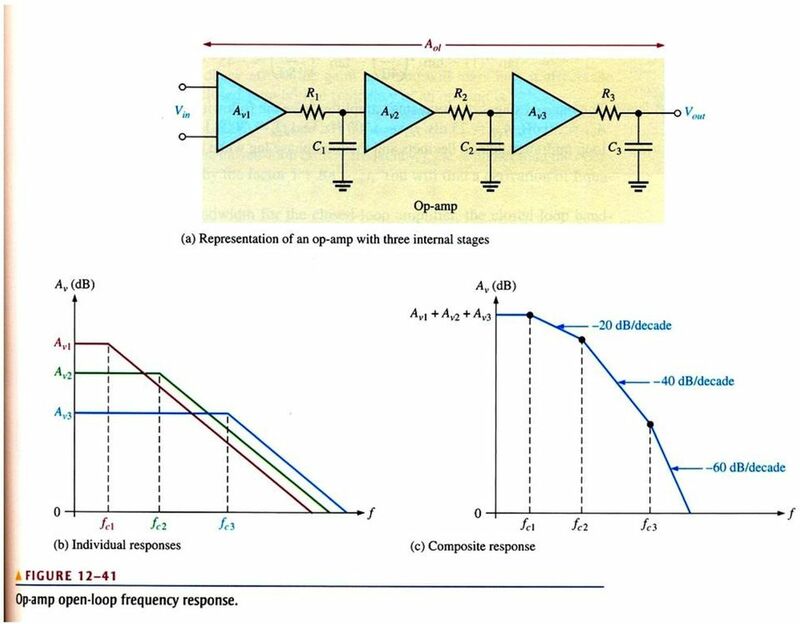 21 The instrumentation amplifier When the input signals are very low level and also have noise, the difference amplifier is not able to extract a satisfactory difference signal. 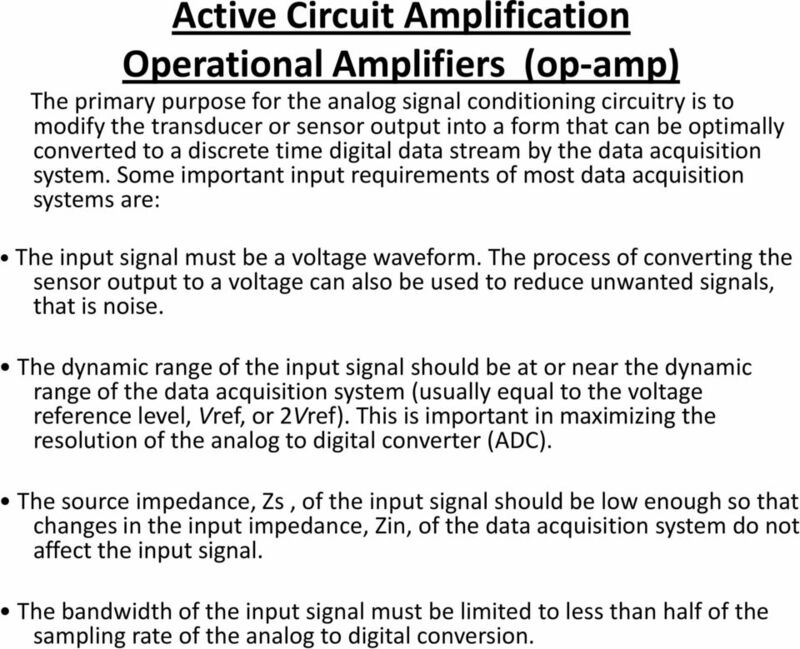 Possibly the most important circuit configuration for amplifying sensor output when the input signals are very low level is the instrumentation amplifier (IA). 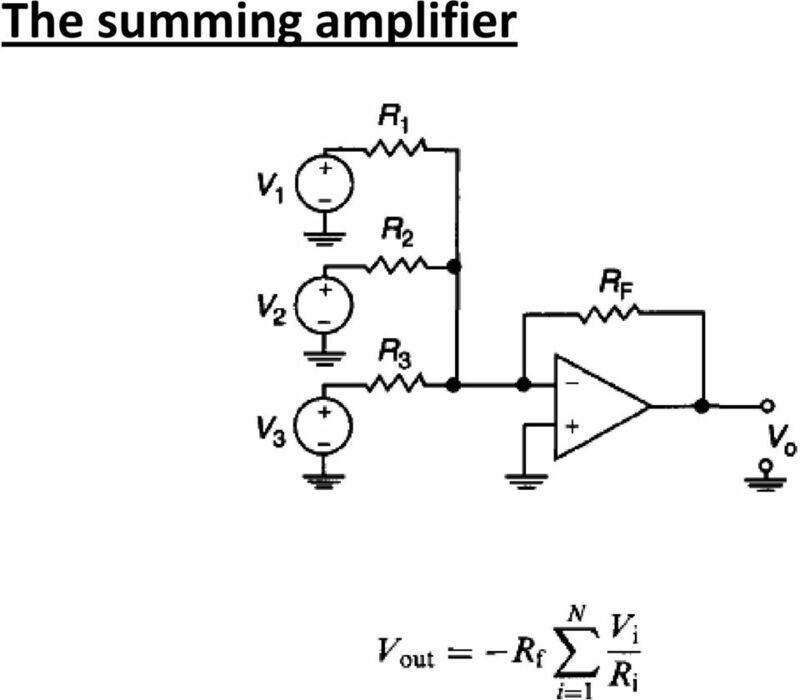 The requirements for an instrumentation amplifier are as follows: Finite, accurate and stable gain, usually between 1 and Extremely high input impedance. Extremely low output impedance. Extremely high common mode rejection ratio (CMRR). 22 CMRR is the ratio of the gain of the amplifier for differentialmode signals (signals that are different between the two inputs) to the gain of the amplifier for common-mode signals (signals that are the same at both inputs). 27 Comparator It takes analog sensor voltage and compares it to a threshold voltage, Vref. If the sensor's voltage is greater than the threshold, the output of the circuit is maximum (typically 5 V). 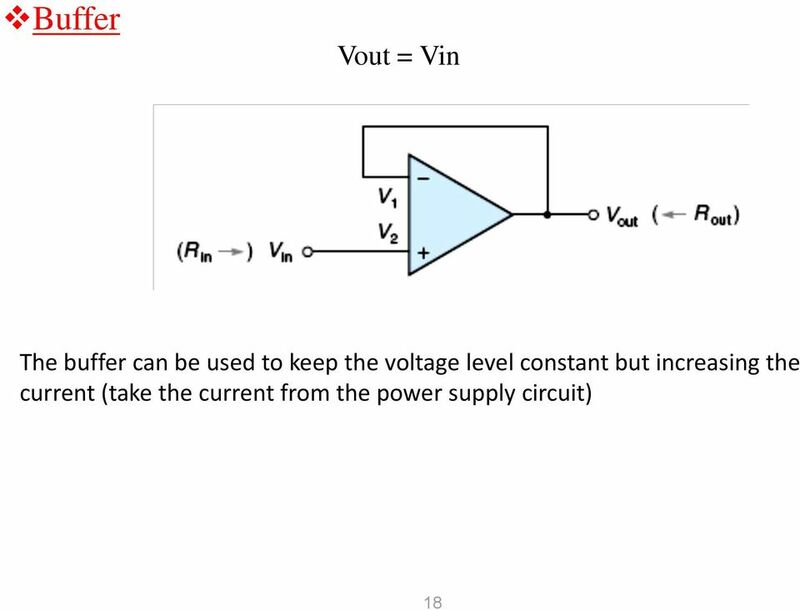 If the sensor's output is less than the threshold, the output of the circuit is minimum (usually OV). 38 Sample and hold amplifier The purpose of sample and hold circuitry is to take a snapshot of the sensor signal and hold the value. An ADC must have a stable signal in order to accurately perform a conversion. The switch connects the capacitor to the signal conditioning circuit once every sample period. The capacitor then holds the measured voltage until a new sample is acquired. Often, the sample and hold circuit is incorporated in the same integrated circuit package as the amplifier. 39 Problems with sample and hold amplifiers Finite aperture time: The sample and hold takes a period of time to capture a sample of the sensor signal. This is called the aperture time. Since the signal will vary during this time, so the sampled signal can be slightly inaccurate. Signal feed through: When the sample and hold is not connected to the signal, the value being held should remain constant. Unfortunately, some signal does bleed through the switch to the capacitor, causing the voltage being held to change slightly. Signal droop: The voltage being held on the capacitor starts to slowly decrease over time if the signal is not sampled often enough. 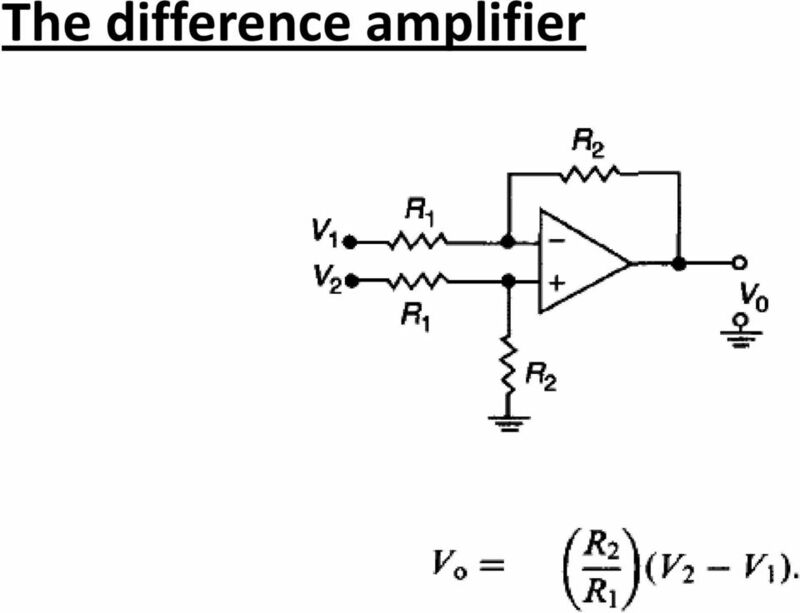 DC Circuits: Operational Amplifiers Hasan Demirel Op Amps: Introduction Op Amp is short form of operational amplifier. 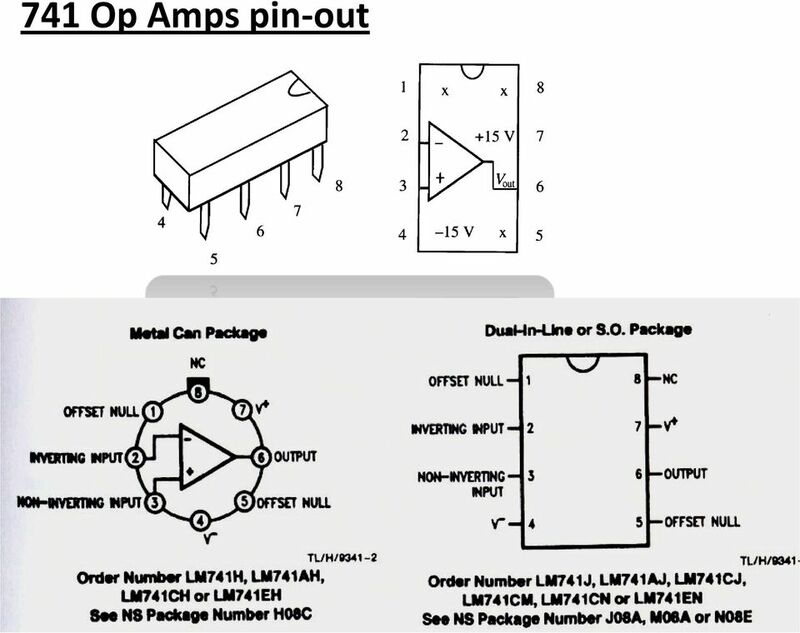 An op amp is an electronic unit that behaves like a voltage controlled voltage source. 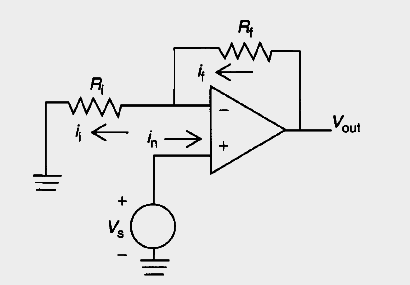 FILTER CIRCUITS. 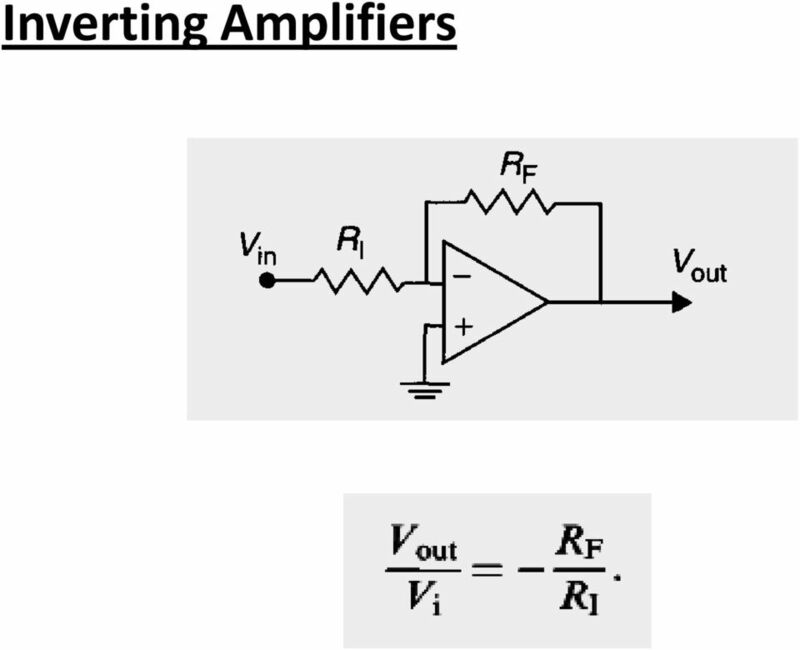 A filter is a circuit whose transfer function, that is the ratio of its output to its input, depends upon frequency. LM 358 Op Amp. 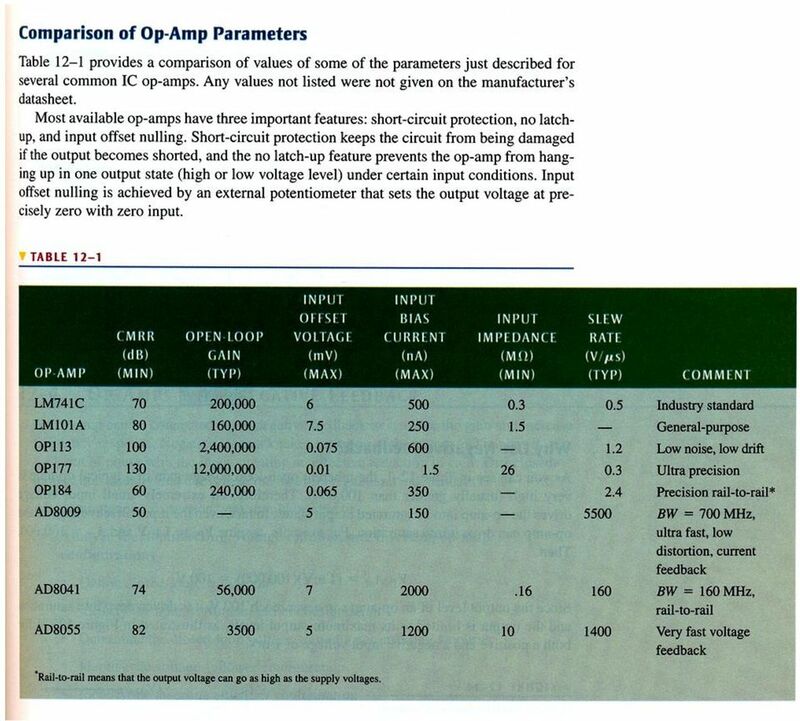 If you have small signals and need a more useful reading we could amplify it using the op amp, this is commonly used in sensors. 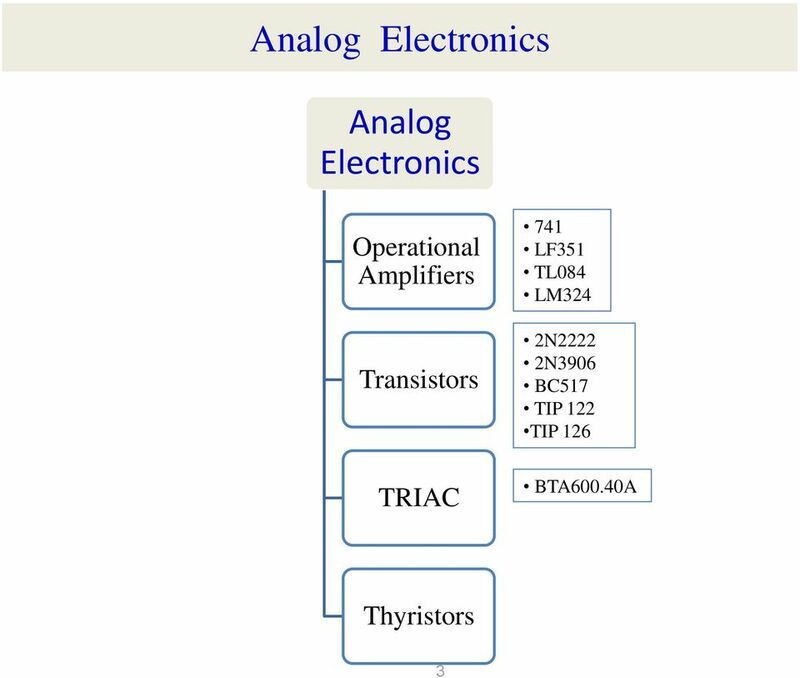 Generating Common Waveforms Using the LM555, Operational Amplifiers, and Transistors Kenneth Young November 16, 2012 I. Abstract The generation of precise waveforms may be needed within any circuit design. Bharathwaj Muthuswamy EE100 mbharat@cory.eecs.berkeley.edu 1. 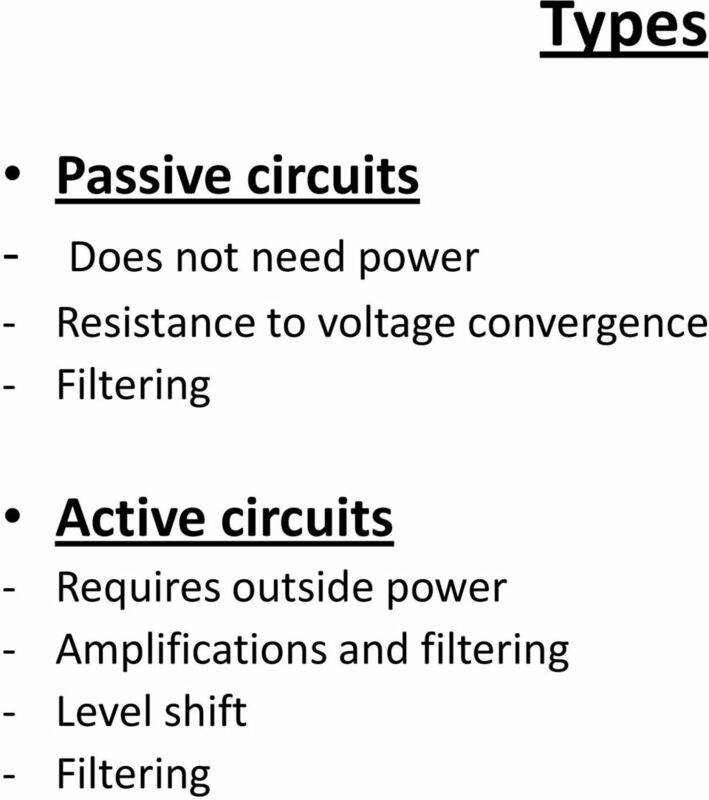 Introduction Active Filters In this chapter, we will deal with active filter circuits. Why even bother with active filters? Answer: Audio. Objectives The purpose of this lab is build and analyze Differential amplifiers based on NPN transistors (or NMOS transistors). 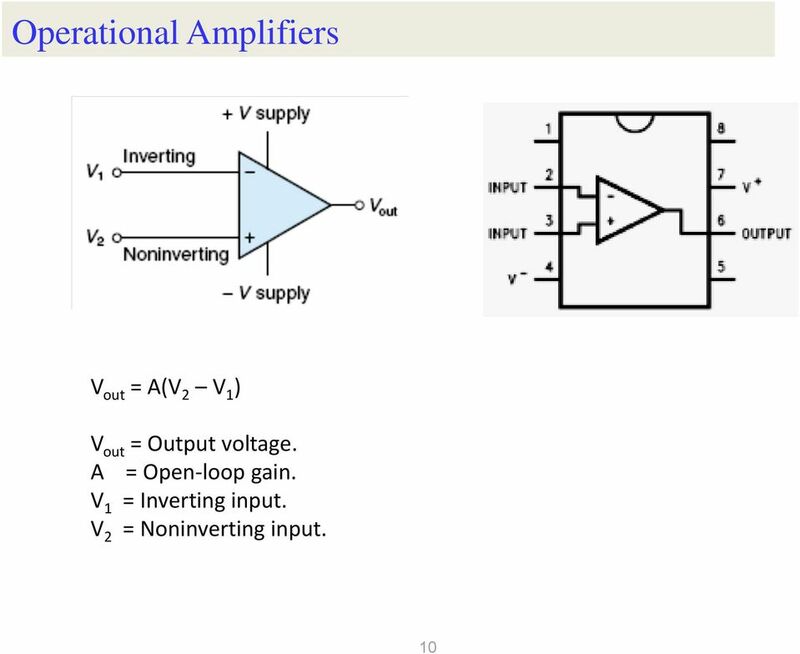 1 Chapter 8 Differential and Multistage Amplifiers Operational Amplifier Circuit Components 2 1. Ch 7: Current Mirrors and Biasing 2. Ch 9: Frequency Response 3. Ch 8: Active-Loaded Differential Pair 4. WHY DIFFERENTIAL? instruments connected to the circuit under test and results in V COMMON. 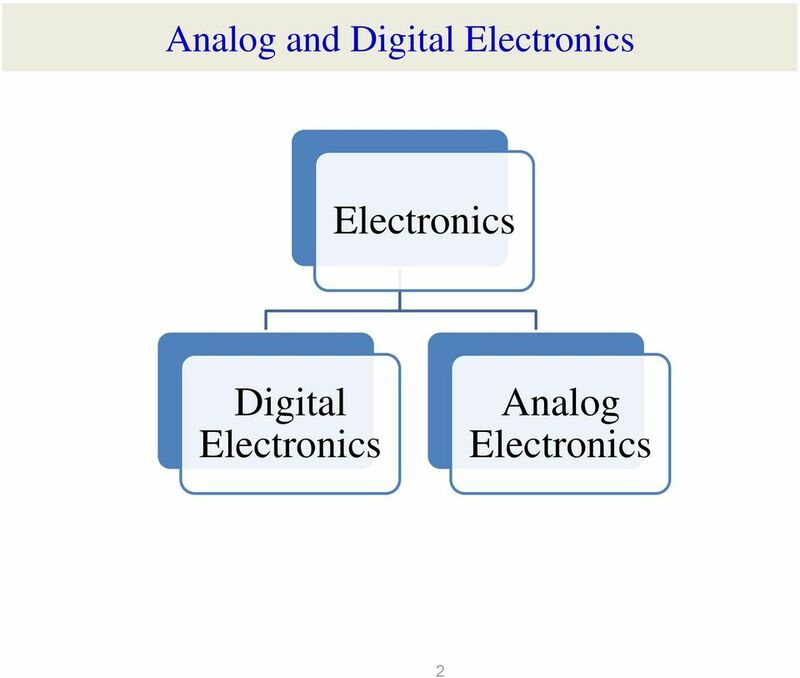 Chapter 12 Common Switching Functional Blocks Voltage Comparators In many applications, it is necessary to cause a digital switching action when an analog voltage rises above or drops below some value. University of Technology Laser & Optoelectronics Engineering Department Communication Engineering Lab.